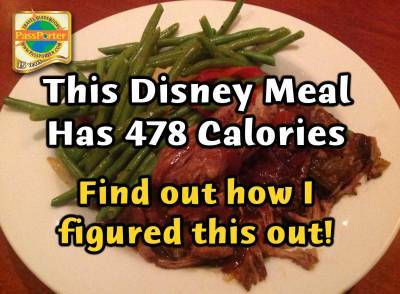 Home » Pages from a Disney Book » Counting Calories or Carbs? 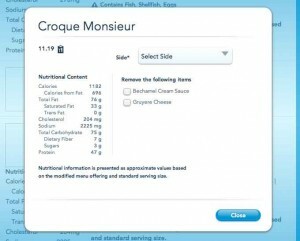 Nutritional Information Appearing on DisneyWorld.com Menus! Counting Calories or Carbs? 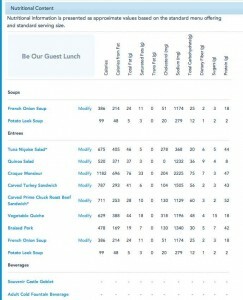 Nutritional Information Appearing on DisneyWorld.com Menus! Ingredients are listed for most items, too! When there are allergens present, such as eggs, wheat, corn, peanut, tree nut, shellfish, soy, or milk, a warning note is also shown and the allergens are listed. This is the only eatery I’ve found with this information, and it’s only for lunch, and I have a theory as to why — Be Our Guest Lunch is a FastPass+ option and the only one so far. 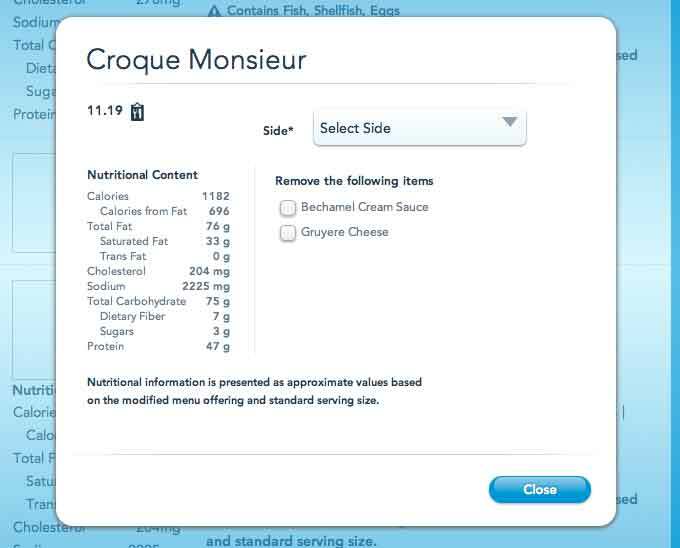 And when you book your Be Our Guest lunch online via FastPass+ (see my review on that experience here), you have the option to choose your food selections. 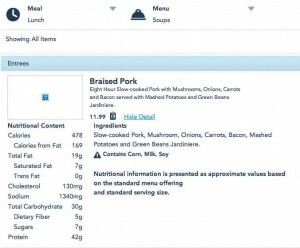 So having the nutritional information available online when you are choosing is important! 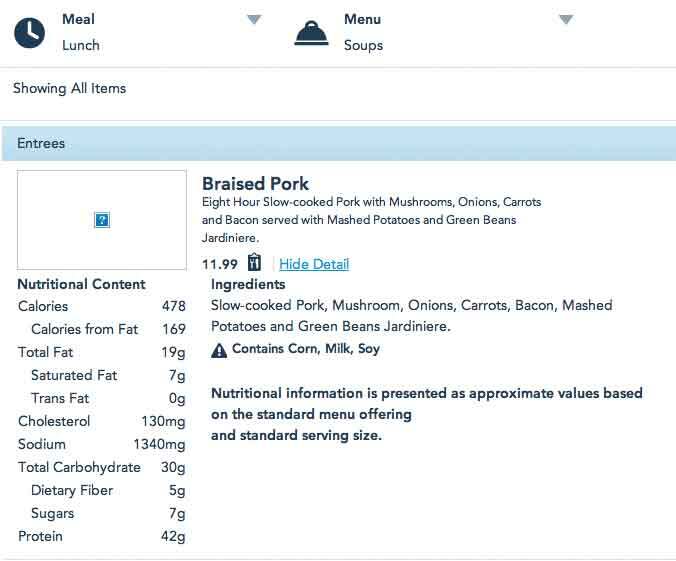 Will we see more nutritional information go online for Disney eateries? It’s hard to say, but given the fact that this information is online and there’s clearly web support to display it and recalculate it, I think it’s a very good sign that more information may appear in the future. I’d definitely keep an eye on the menus to see if they do. This information would be helpful for many, many people. 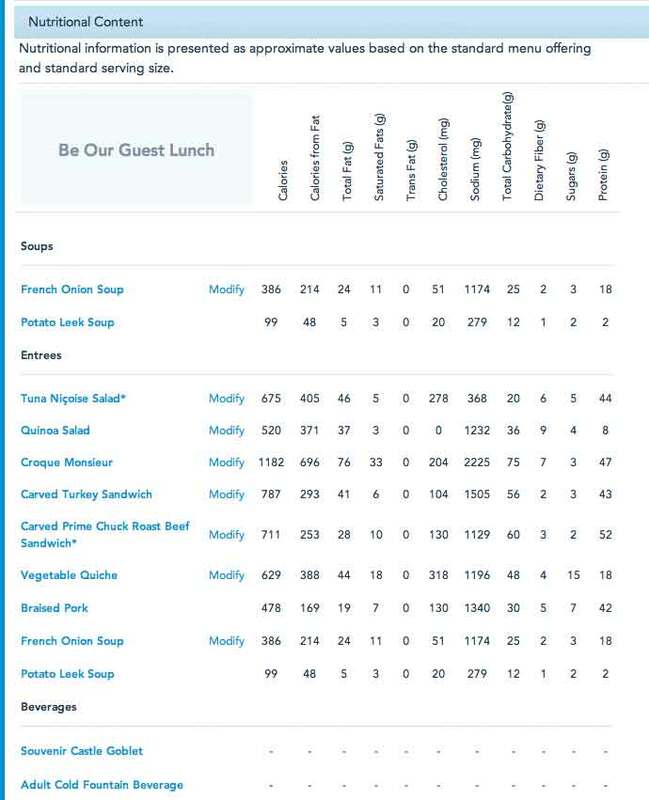 Eating Healthy at Disney: Keeping Your Commitment to Health on Vacation by me! ← Introducing Porter, PassPorter’s New Mascot!